Barcelona is a great city with children. One of the best bits of the city is the park in the centre, Parc de la Ciutedella. This city park is pretty large (74 acres) and has plenty of walks, playgrounds, a zoo, a little lake with rowboats etc. When our children got tired of sightseeing, we retreated to the park for some rest and relaxation. Who knew that it felt like the entire city would be there? 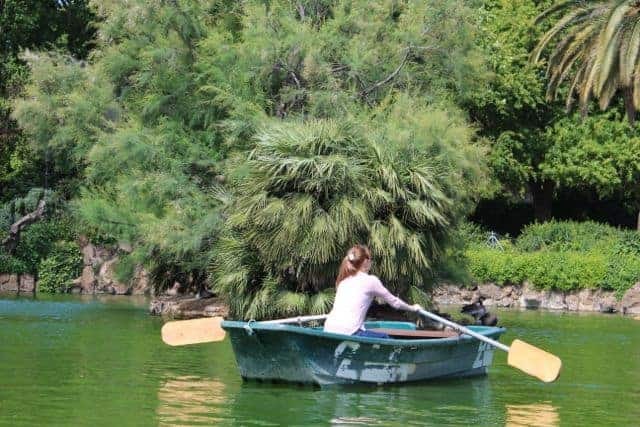 Sunday in the park in Barcelona is perfect for a relaxed approach to sightseeing with or without children..
2.2 Join our growing community of readers! We spent some time just hanging out in the grass people-watching. Last time my husband was at this park he told us he saw a hapless Japanese groom overturn a rowboat and dunk his bride into the water in full wedding attire. The children were looking for something equally exciting to happen on this trip but nobody obliged. 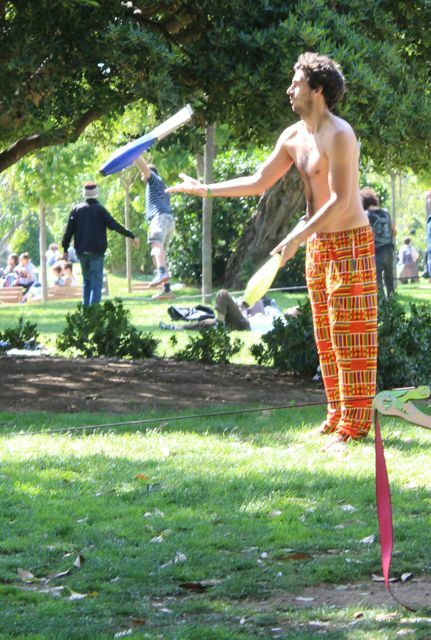 This guy and his friends were practicing their circus skills – juggling and tight-rope walking. Could that be more ready-made entertainment for the children? The lake in the middle has little rowboats for hire. My husband did us proud rowing like a champion with no help from us. The children don’t believe in manual labour and I was too busy taking photographs. 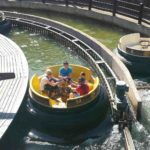 There is a fantastic large playground for children on the way to the rowboats. Of course, we stopped on the way to and from the rowboats with the obligatory pit stop for ice cream. We skipped the museums and the Barcelona Zoo located in the park because technically we were on a sightseeing-free afternoon. 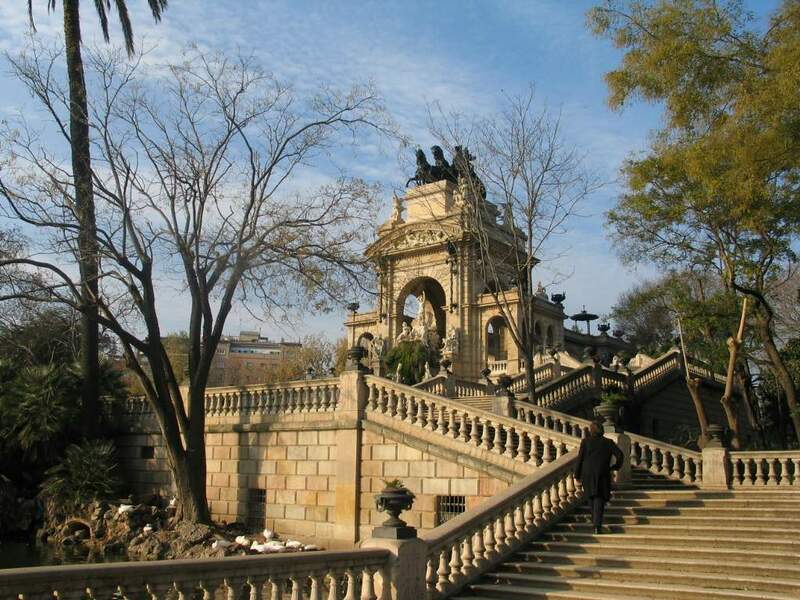 There is the Natural History Museum of Barcelona including the Martorell Museum and the Botanical Gardens. The Martorell Museum was founded in the late 18th Century when a naturalist, Francesc Martorell y Pena, donated his sizeable collection to create what was Barcelona’s first public museum. Surprisingly for Barcelona with all of its modernist architecture, the Martorell stands out for being a neo-classical structure. The Barcelona Zoo dates from 1882 and is very child-friendly. The zoo is home to more than 5000 animals. Until his death of skin cancer in 2003, the zoo was the home of the world’s only known albino gorilla, Snowflake. 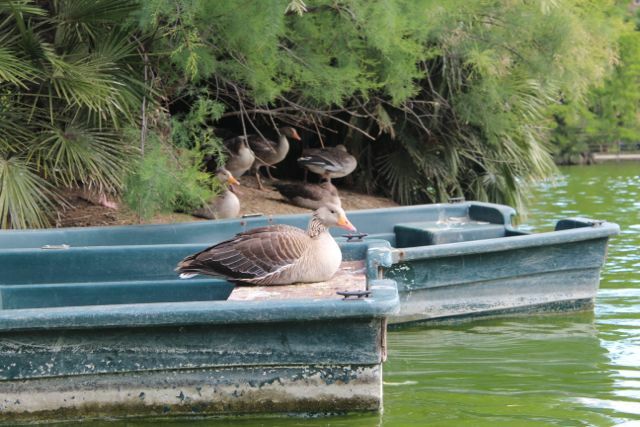 The Parc de la Ciutadella has an interesting history. The area was built as an actual citadel in the 18th century after Philip V of Spain conquered Barcelona after a long, protracted battle. Designed to stop the Catalans from rebelling again, the building was actually Europe’s largest fortress at the time. A neighbourhood was cleared to make room for this fortress. The neighbourhood’s former inhabitants were not only made homeless but also made to work on building the citadel. Needless to say the citadel was hated by the people of Barcelona. Most of the citadel was demolished in the mid to late 19th century with only a few buildings remaining, including the old arsenal that currently houses the Catalan Parliament. The transformation was complete when the area was turned into an urban park as part of the 1888 World Fair opened by King Alfonso XIII (the same one for whom Seville’s landmark hotel is named). If you are in Barcelona, this charming park is worth a stroll through to recharge your batteries and watch the locals at play. It really is centrally located for tourist attractions in Barcelona near the harbour. The nearest subway stop to the main entrance at Passeig Pujades is the Arc de Triomf. Alternatively, you can bicycle through the 72 acres of this Barcelona park. Our children were too young to ride a bike but we would have seen a lot more of the park if we had had cycles. I would consider Barcelona (and especially this park) as one of the best cities for family cycling. There are a lot of other sights to see in the park which we did not have a chance to explore with little children – such as a winter garden, greenhouse, a castle and a waterfall. I was kicking myself that I did not pack our kick scooters for the children! This park is fairly flat and would have been perfect to explore with little kids on scooters. When you spend sunday in the park in Barcelona, you will be sightseeing without even knowing it!